Wandering City Blues: Cover / Sendoff. How did you folks like last week's episode of MJM - a podcast set in the universe of Fogworld? I hope you had as much fun listening as we did recording. There are two more episodes of it debuting soon - one on September 14 and the final one on September 28. So what will we do in between episodes? How about if we take a look at the finalized cover for the book (designed by Matthew Thomas with additional work by Nick Whitmire)? If you like that, wait until you see the back. It can be in your hands October 26th/29th. A bunch of other stuff happened this week too! 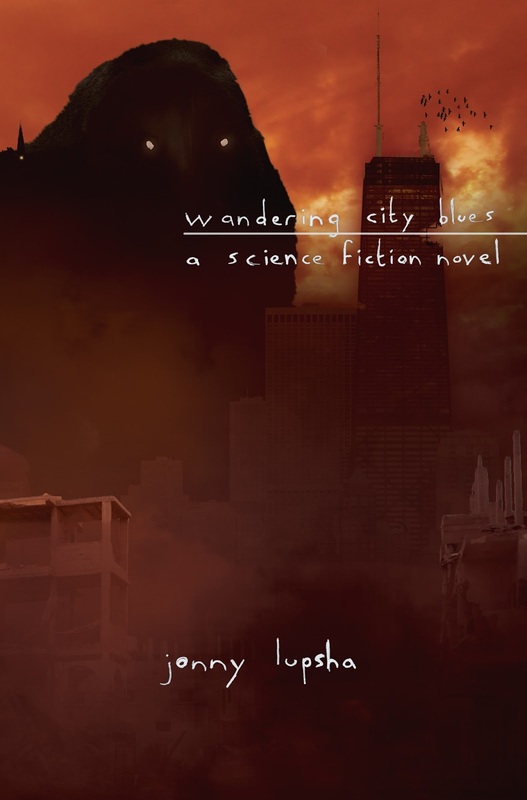 For starters, I got an ISBN for Wandering City Blues. The ISBN-10 is 0692779329 and the ISBN-13 is 978-0692779323. Second, and most importantly, both the interior and exterior of the book are 100% finished and out the door. They've been sent to the printer and should be ready for A Carrier of Fire to approve in the next week. We're staying on schedule and everything is coming together in the best of ways. Thanks for all your continued support during this excitement! We're right on the cusp of the proper release of the book and it wouldn't be possible without you guys.